The killing of endangered species for trophies or pleasure is unfortunately sometimes overlooked.Every trophy costs a life. 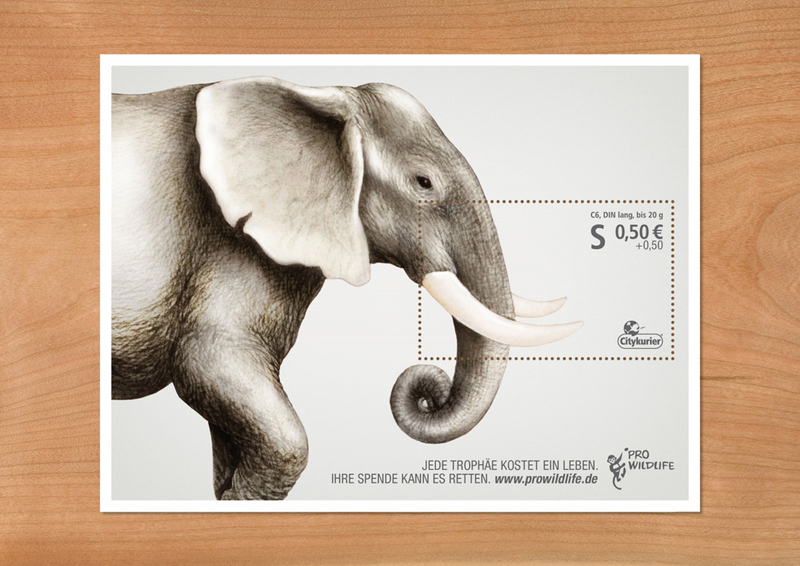 Your donation can save it. 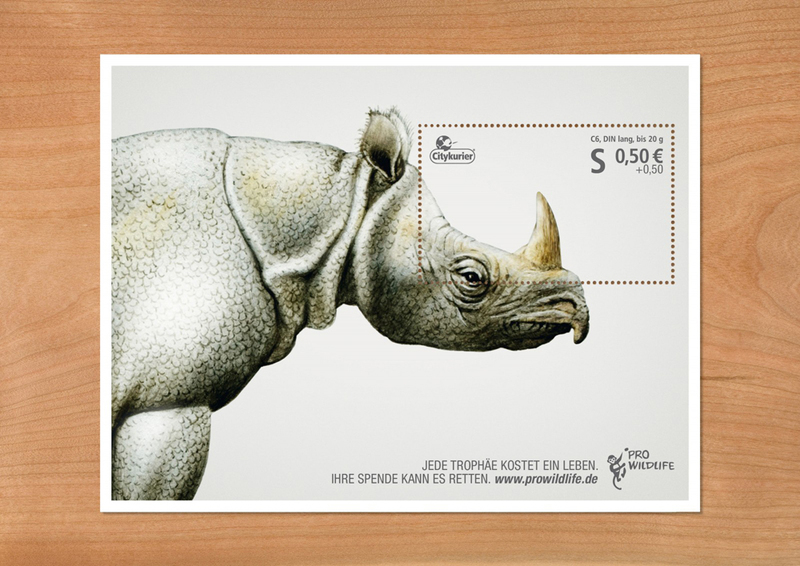 German design studio Guertlerbachmann designed a set of three donation stamps for Pro Wildlife. 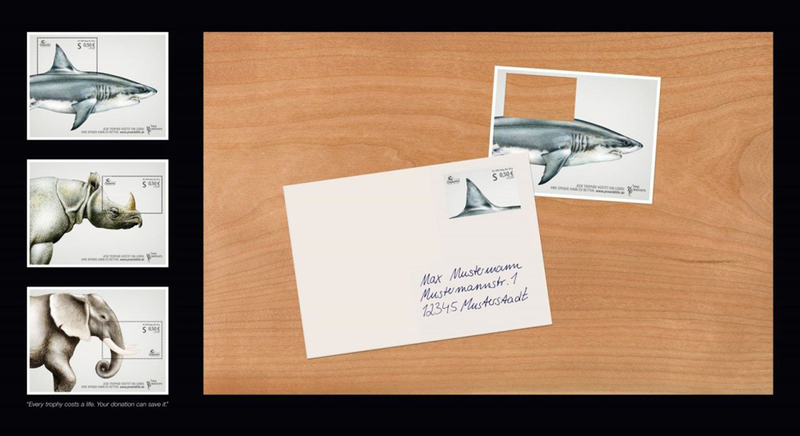 These stamps costed 50 cents extra than regular ones and this money was donated directly to Pro Wildlife. 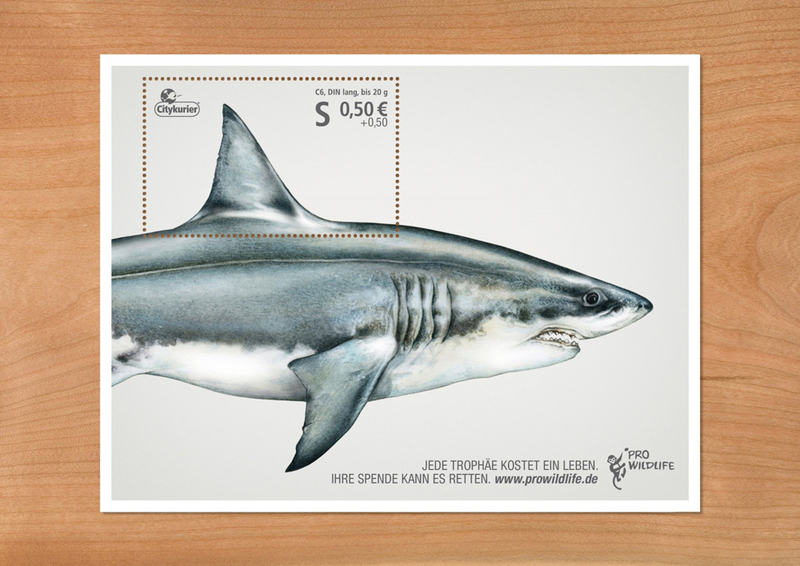 The campaign raised 41.000 euros in total.